Richmond, Virginia, September 28, 2018: The courtroom was full as the three judges filed in from their chambers behind the bench. The bright green carpet with a perfect zig-zag pattern from a vacuum cleaner stood out. 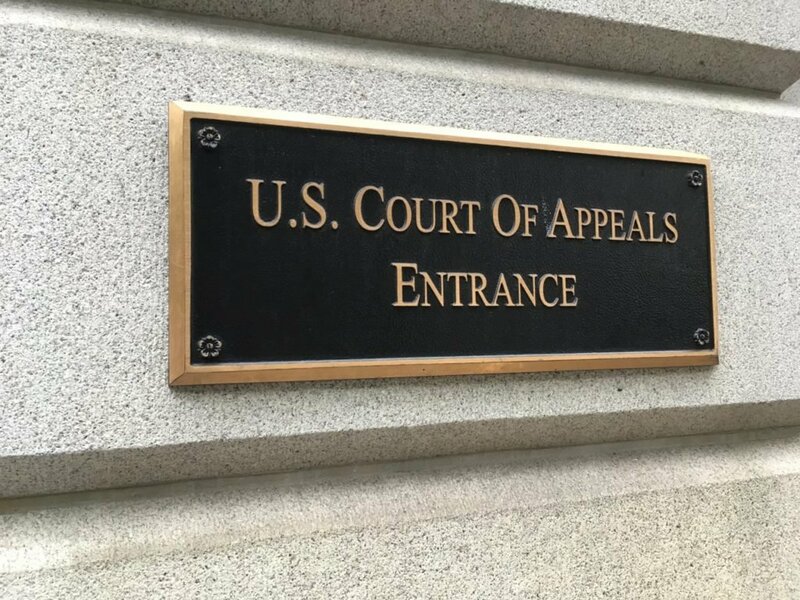 I was there to hear first hand all the arguments in four cases before the United States Court of Appeals for the Fourth Circuit. Jeanne and I are part of a group of plaintiffs in one of those cases, Appalachian Voices v. State Water Control Board (18-1077). All four cases involve the pipelines being built to move fracked gas through our mountains. The Allegheny-Blue Ridge Alliance posted a great summary of these cases on their website. For me, one question captured the essence of our fight against these pipelines. “What’s that process called where ya’ll part the waters like Moses?” Judge Wynn asked one of the pipeline lawyers. “A coffer dam, your honor,” the lawyer responded. To me, this single question captured the irony of the whole day in court and what we have been fighting for four years. It will take an act from God to build these pipelines without violating water quality standards. 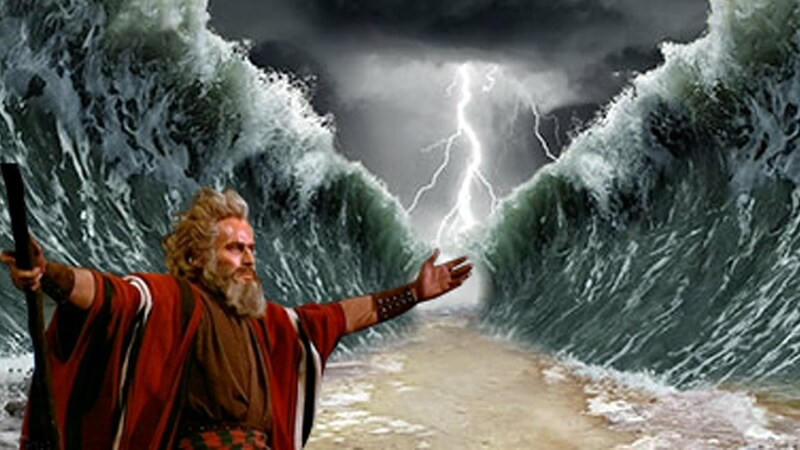 Internet picture of Moses parting the Red Sea. 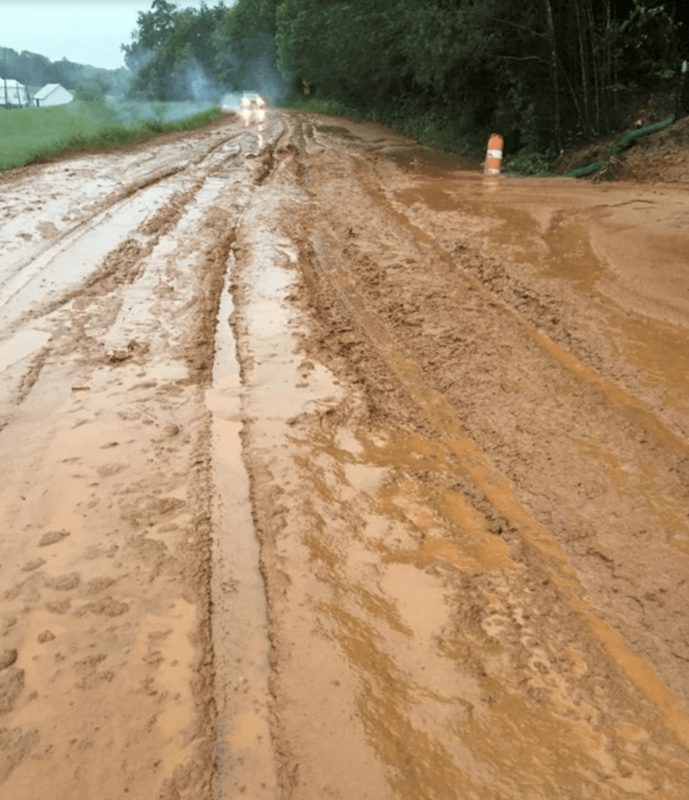 The State Water Control Board and the leadership of DEQ must believe Dominion and EQT have the biblical powers of Moses to defy the elements—rainstorms, karst, landslides, and much more. These pipelines should not be built and until we demand higher erosion control standards and individual permits for stream crossings water quality standards will continue to be violated. There is no doubt in my mind that the SWCB was arbitrary and capricious when they granted 401 certifications for the MVP and ACP. Chief Judge Gregory contributed another great statement for the day, I think he said it was a quote from Mark Twain. Ben Luckett, attorney for Appalachian Mountain Voices did an excellent job arguing our case. The facts are plain and simple. Construction of the Mountain Valley Pipeline and the Atlantic Coast Pipeline are violating state water quality standards. I had a good feeling about our day in court. I am so thankful for the research, dedication, and professionalism of the legal teams that have helped us so much. We may not know the outcome for months. 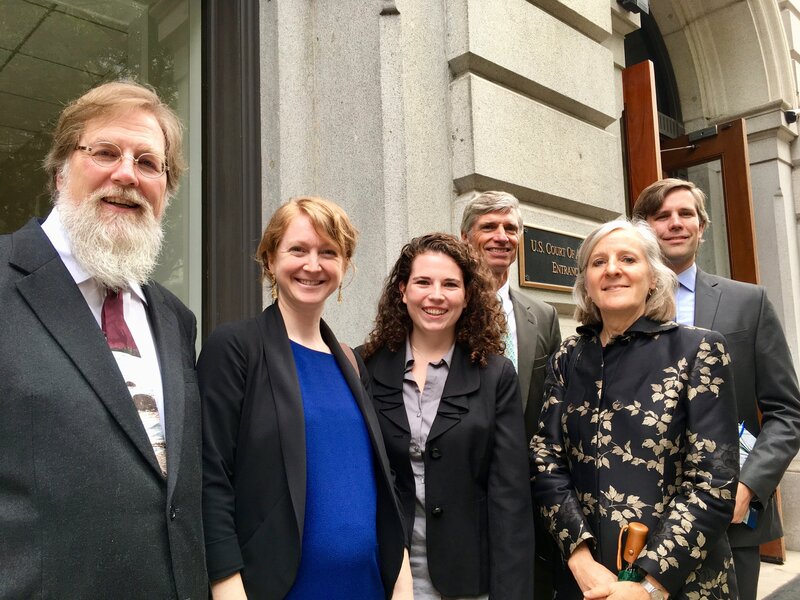 David Sligh, attorney for Wild Virginia left, and the legal team from the Chesapeake Bay Foundation outside the federal courthouse in Richmond, Virginia. 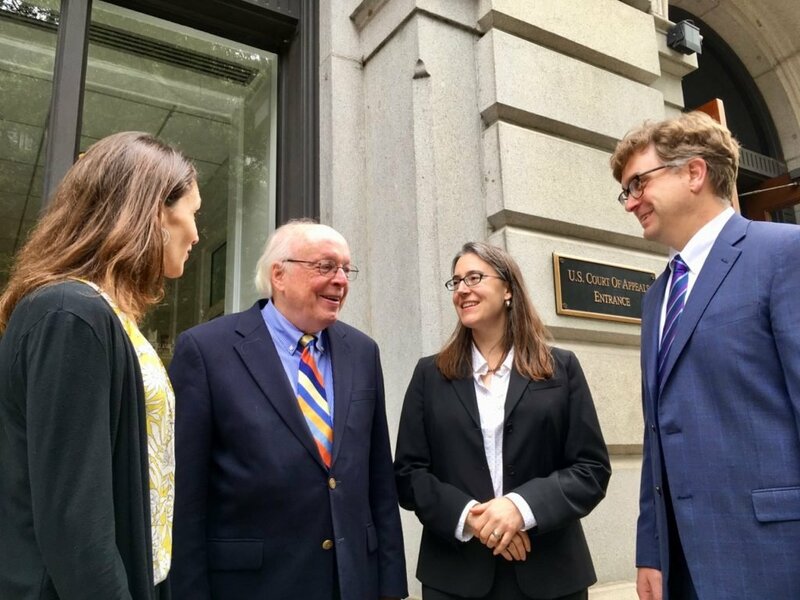 Kate Wofford, Shenandoah Valley Network left, Lew Freeman, Allegheny-Blue Ridge Alliance, Sarah Francisco and Greg Buppert, Southern Environmental Law Center discuss our day in court. Thanks so very much, all pipeline fighters. Anne, thanks for your comment and support. I used to think it was Monsanto but I think Dominion’s arrogance trumps even theirs. I sincerely hope those judges see the impossibiity of protecting water quality under the obviously inadequate erosion and sediment control plans extant now. Thanks for all you and Jeannie do; you two are the best! I agree, George. Thanks for your comment and leadership. Dominion may not have the power to part waters, but they know how to disperse pieces of silver to bully their way. I will bet on the underdog in this David versus Goliath. Thanks Bobby and Jeanne for showing up with you slingshots. Thanks, Leo. I have seen two news articles about the Farm Bureau opposition. You are quoted in both. Thanks for getting the word out. I am proud of you and Jeanne. Stand firm. Thanks, Charlie. It was an amazing experience. One of the judges had purple hair. Spot on, Mary. Thanks for fighting and for your very timely comments. If we have a just legal system these pipelines will not be built. I believe the pipeline companies and the state and federal agencies who have colluded with them have violated the law repeatedly through this process. We are looking for our government to come through for us as the legal system checks and balances the corrupt executive and legislative branches of our government. It would be great if all three were serving the people. Maybe in this case one out of three will come through and stop these unjust, immoral, and illegal pipelines. William, spot on! You are so right. Thank you for posting. We are coming to see you soon and experience the old growth. Much as I relish our life in Vermont, I wish I could be back in Virginia to lend a hand beyond our modest Financial support and letters. Mary joins me in Gratitude for your and Jeanie’s Good Work and Leadership along with the many who know the truth and are working for its OUT defeating this debacle and endangerment to so much of Virginia’s land and Nature and the properties and lives of so many landowners. Don, I wish you were here too! Thanks so much for your continued support and friendship. This week NPR has had good discussion on pipelines and their lack of regulatory oversight particularly in respect to where and how the lines run through the landscape. There may be additional fuel for your cause embedded in their data. And of course the gas line disaster in Massachusetts last month. It seems the only recourse landowners presently have is a court fight. Also LTA/ Land Trust Alliance has been taking a national look at pipeline routing for the past 10 years. You may know all of this already. Chin up and keep the fight going! The volume of rain we have received in the Appalachian region since May has proven why this lawsuit is so important. Coffer dams are not built to contain the volume of out-of-its-banks high water events. In the Middle River watershed alone, we have had three such massive floods just since May. Already, tons of farm soil has been sent downstream this summer. Imagine what could happen if the huge expanse of bare soil of a pipeline were inundated with the rains we have had. It would be Cahas Mountain Road everywhere! Thank you Bobby and Jeanne and all the Petitioners for exposing what we all see but what Dominion and the State Water Control Board won’t admit. Thank you also to Nature for showing us why we should use caution when trying to bend it to suit our will. Spot on, Joe. Thanks for taking the time to comment.